Maximum Number of People on Field? I have a tour company and want to know if i can set a maximum # of people per tour, not per submission. I'm not sure if I understood your concern correctly. Upon checking your account and the form, I see that you have a tour reservation form. 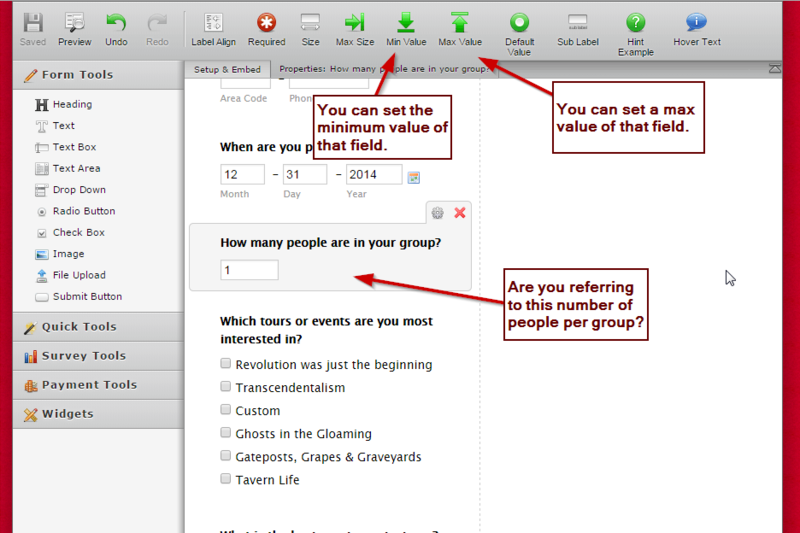 I've cloned that form and edited the field that has the number of people in a group on it. Here's a guide on how I edited that field and set a min and max value on it. I hope this helps. Let us know if you need more information on this.